Summer is here and we really need to take care of our skin. I have skin that tans easily but also that gets a new bunch of freckles as soon as the sun comes out. I try to always have a minimum on 15SPF in all my face creams to not get a freckle overload. But then there’s the hunt for that perfect cream, not too strong but tending to your type of skin, including any other requirements such as anti-aging or rejuvenating. There’s an entire world of creams out there so it’s not easy. 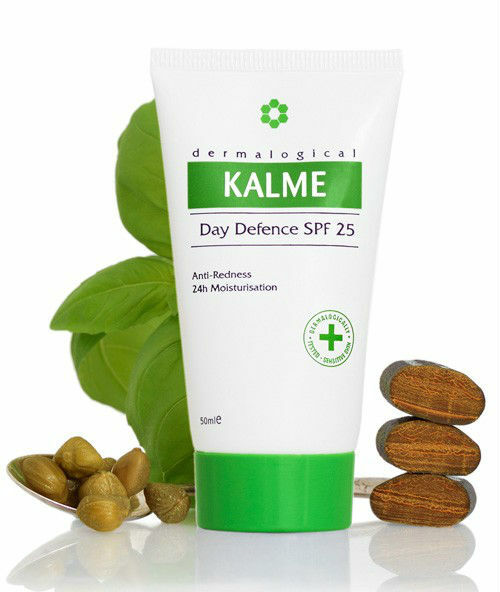 I was lucky enough to be allowed to try KALME Day Defence cream with 25SPF to really help my skin this summer. It’s light and fresh and really absorbs fast so no sticky waiting time before putting your make up on. But this hard working and chemical free sun cream also helps to reduce skin redness and acne which I find is usually something you loose when you buy off the shelves creams. It’s like you’d have to choose one or the other and many of them don’t have the same high SPF protection. So let’s go into depth why this cream is the one for you. 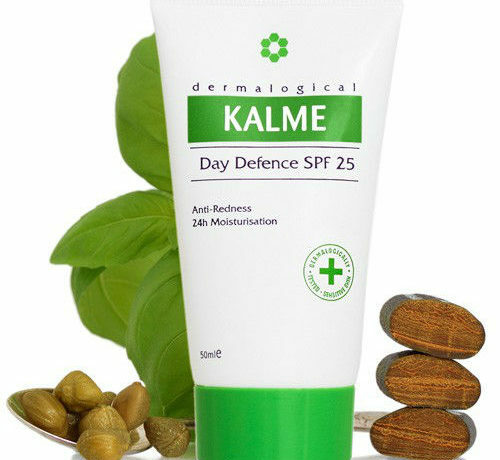 To reduce redness the KALME Day Defence contains a caper extract called Derma Sensitive, this has been proven in clinical trials to reduce redness, even including rosacea, and also aid sensitivity by 70%. For me, the best part is the sun protection; KALME contains a new patented form of micronised zinc oxide called NanoSun that gives a transparent finish on your skin and a chemical free SPF protection of 25. They use pure zinc rather than a combination with titanium dioxide like many other mineral SPF creams. This helps to reduce spots and acne but also it’s much kinder to your skin. KALME also uses a patented antioxidant called NDGA which is up to 100 times more effective than vitamin E and C or grape seed, which is also proven to reduce those tricky spots and inflammation. I have used a few creams throughout my adult life and I haven’t found the one for me yet, mostly because it seems you can’t find one with all benefits in one without a setback, like maybe the SPF is high but it wont moisturize as long as I need it to and my face gets itchy. KALME has a 24hr moisturising action to really help skin dryness. There are no chemicals in the KALME Day Defence cream and you can almost tell straight away by the way it feels and also the scent. I am very happy and am using mine every day. Since I started, I no longer find my skin dry and I feel calm knowing I have a higher SPF to protect my skin from this tropical London summer. Find out more about the KALME range at their website.